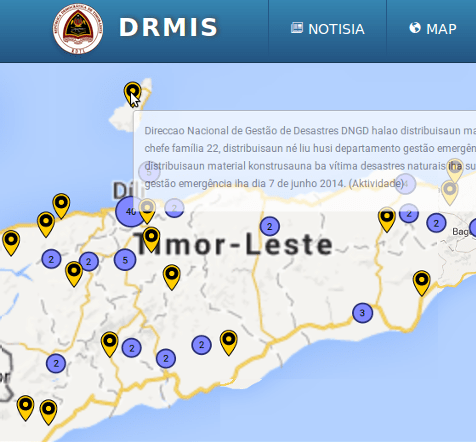 Under a well-developed disaster management system, the Disaster Management Organization of a Country should be aware of and should map every significant emergency incident or risk in the country. Disseminating such information among multiple agencies with disparate systems can be complicated. Multi-Agency Situational-Awareness (MASA) platforms facilitate the integration of silo-ed Organizations and dilutes inter-agency rivalry at every level of a National warning and incident management system. Such a platform that incorporates the Common Alerting Protocol (CAP) standard is far more likely to interoperate with National and International warning systems. Moreover, the CAP content standard lays out emergency policies and procedures for streamlined information sharing among multiple agencies. The aforesaid concept: CAP-on-a-Map was one of the winning proposals that received funding from the United Nations Economic and Social Commission for Asia and the Pacific (UNESCAP); specifically from the UNESCAP Trust Fund for Tsunami, Disaster, and Climate Preparedness. The Sahana Software Foundation (SSF) teamed with the Asian Institute of Technology (AIT) Geoinformatics Centre in pitching the proposal. The two organizations will complement each other with a combined set of expertise involving remote sensing, risk assessment, emergency communication, webGIS, and open source software. This is a stepping stone pilot that will build a program to offer countries in the Asia and the Pacific region (but not limited to) with software and procedures to manage their MASA practices. 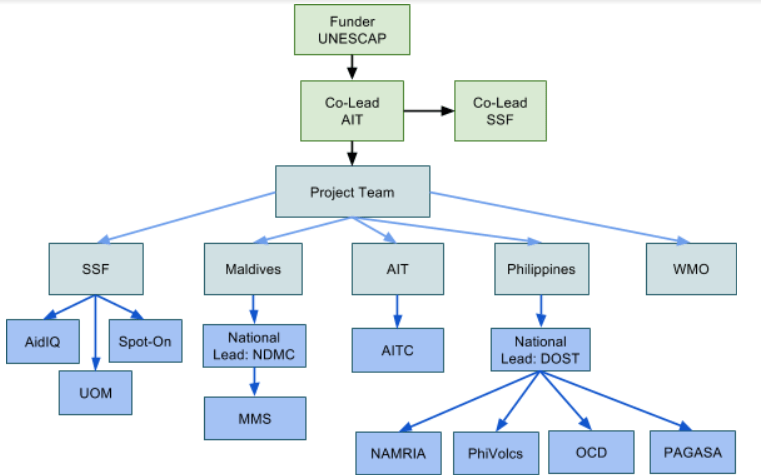 At this pilot stage, this project will implement and evaluate a customized Sahana Alerting and Messaging Broker (abbreviated as SAMBRO) to serve the Maldives and the Philippines in managing their MASA practices. AIT and SSF are project co-leads responsible for achieving the proposed goals and objectives. The World Meteorological Organization Public Weather Services (WMO) will be a key adviser to the project, specifically with the implementation of CAP and incorporating the WMO advocated Register of Alerting Authorities. The Philippines Department of Science Technology and the Maldives National Disaster Management Centre are National counterparts leading the implementation, in collaboration with in-line agencies, in their respective countries. AidIQ, AIT Consulting (AITC), and Spot On Solutions (Spot-On) will provide technical assistance. Over the next 18 months (1st Jan 2015 to 30th Jun 2016) the project will collaborate with the various partners achieving the milestones. They mainly comprise understanding the current state of the warning mechanisms, then training a set of trainers to build National capacity to operationalize the Sahana software-enhanced MASA, run mock-drills to evaluate the interventsion, and finally, share the knowledge with disaster management researchers and practitioners.